This aged Norwegian Imperial Stout pours jet black from the bottle with not a hint of a head. The consistency is not unlike thin syrup. The aroma is of vanilla and oak with a hint of carbon, aromatic hops, and black patent malt. The foretaste is of bitter chocolate with a heavy, creamy mouthfeel. The midtaste continues the creaminess and the cocoa flavors and adds a welcome bit of alcoholic burn. The rear taste is of sour apples, cognac, vanilla, and creamy chocolate. The aftertaste is of cognac, alcohol, and chocolate with a pleasant, crisp hint of flavorful, bitter hops. Be forewarned: This beer is unfiltered so the yeast settles naturally to the bottom. Don’t be surprised if you find a bit of flocculated yeast in the last dregs of the bottle. It won’t hurt you if you drink it. This entry was posted on June 5, 2012, 6:24 PM and is filed under Alcohol, Food. You can follow any responses to this entry through RSS 2.0. You can leave a response, or trackback from your own site. 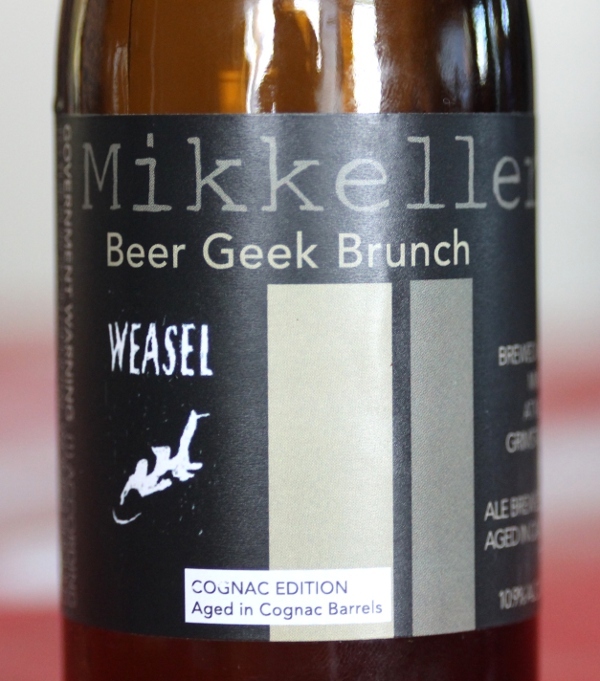 I almost want to try this because of the cognac bits. But, I generally dislike darker beers, so I’m not sure how it’d all turn out. This is an imperial stout. It usually appeals to folks who like espresso, bittersweet chocolate, black tea with no cream or sugar… If that sounds like you, then go for it! If not, it might not be to your taste.